Preparing for a wedding can take a lot of time, but remember that the wedding and bridal dance will be the first time you step out as a married couple. The wedding dance is traditionally a couple’s dance, and if you do not have many dancing skills, you might fear that moment. 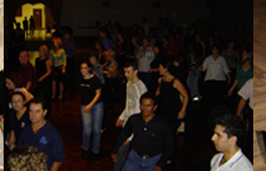 Instead, enjoy your dance with wedding dance classes in Perth by Danza Pasion. With our skilled instructors, all of whom have many years of experience, we can help you put together an amazing bridal dance that you and your guests will always remember. These dances are fun and easy to learn, and Danza Pasion’s job is to help you with bridal dance lessons so you can amaze everyone — and yourself! Personalised bridal dances are now en mode, so why not find a dance of your own to make your day even more special? Regardless of your skill level, Danza Pasion can assist you with bridal dance classes prior to your wedding and come up with a routine you can perform well. Don’t worry if you are clumsy. Anyone can dance! Do you want to dance a classic waltz or foxtrot, or do you want to infuse your bridal dance with some Cuban rhythms? Danza Pasion in Perth can assist you with a wedding dance that consists of ballroom-style dancing or Latin dancing. 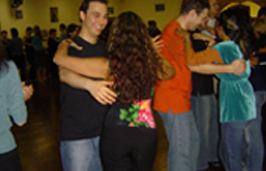 We can help you learn Argentine tango in your bridal dance lessons, or cha cha cha, mambo and Latin funk. Danza Pasion will help jazz up your bridal dance with something so unique that you won’t see it repeated in a video online. You will benefit from wedding dance lessons by creating a dance individual to you and your wedding partner. Don’t be caught on the dance floor awkwardly dancing and waiting for it to be over. Bask in the moment and show an artistic and fun part of your personality that others might not have seen before. Your wedding dance classes with Danza Pasion will be an investment you won’t regret, and it will result in a wonderful experience you will remember forever. Whether or not you insist you have two left feet, Danza Pasion teaches in an easy-to-learn manner. Everyone can learn to dance, especially for a situation as special as a bridal dance. Make your wedding special with wedding dance lessons and bridal dance classes offered by Danza Pasion. Visit our website at danzapasion.com.au to view our packages. For $80 per hour, we can give personalised lessons, or we offer packages so you can take social dance classes and learn even more moves before your scheduled bridal dance classes in Perth. Whether you desire a simple dance routine or a surprise floorshow, you can count on Danza Pasion to help make your bridal dance an unforgettable experience. Don’t shy away from taking dance lessons after your wedding, either. Danza Pasion has three locations and offers classes every week. Take advantage of our availability in Perth and visit us soon.